At just 2 years old Megs became a big sister and with that shifted places to the middle child spot, only she didn’t really. Because we never brought our new baby home her position in the family never really shifted at all, and for so long (longer than really it should have been) she was the baby of the family. There have been a few times this past week when I have looked at her and for a few moments just couldn’t believe how much has changed in such a short space of time. I realised in these moments that she is very much not the baby anymore and I had a sense of pride of how she had stepped up to middle child with no fuss and taken it on so well. 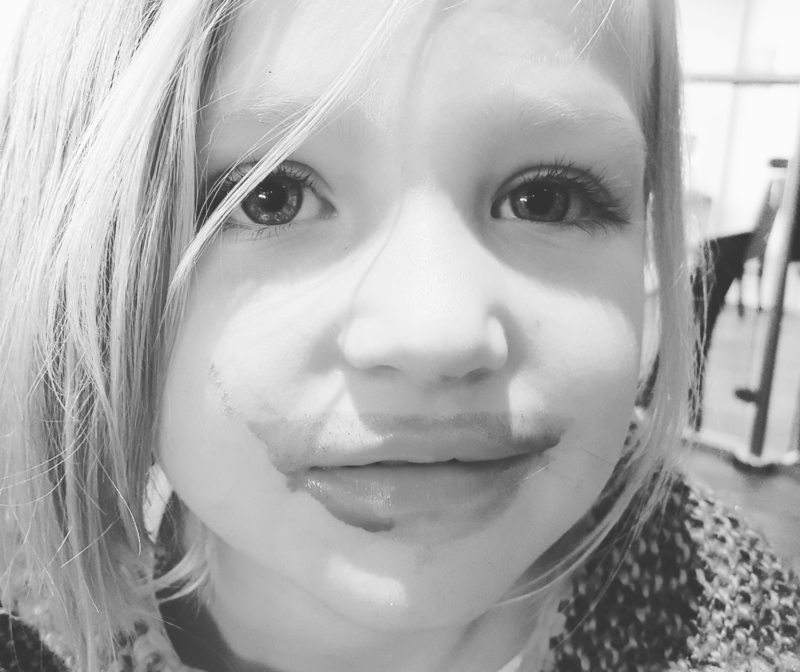 As she sat on the end of the table eating dinner at the soft play last week, surrounded by boys a year and 2 (even 3) years older than her, she was not phased, but joked, challenged them and joined in with their banter. She plays more with kids in Ethan’s class than kids in reception and she can even be seen at some of their parties these days too. She is no longer the baby, the little one or the youngest at home, and her new role as a big sister combined with that of starting school has certainly encouraged her to grow up a lot. 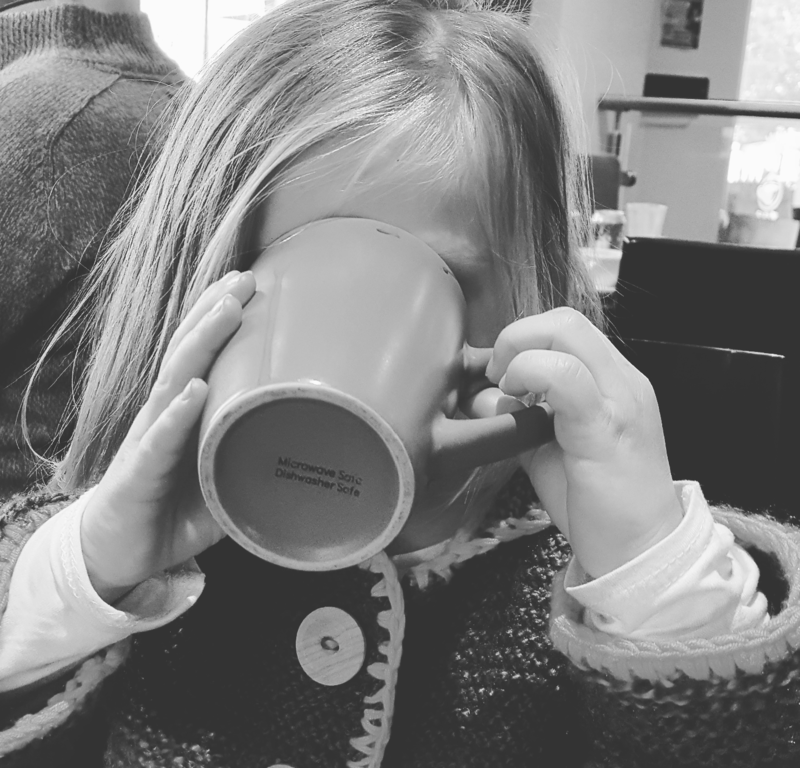 And then it hit me again yesterday As I looked at her across the table whilst out for hot chocolate, and once again in the evening trying to console an over tired Megan – it all hit me at how much has changed and how big she seems now. Whilst always being an independent character she seems more so. 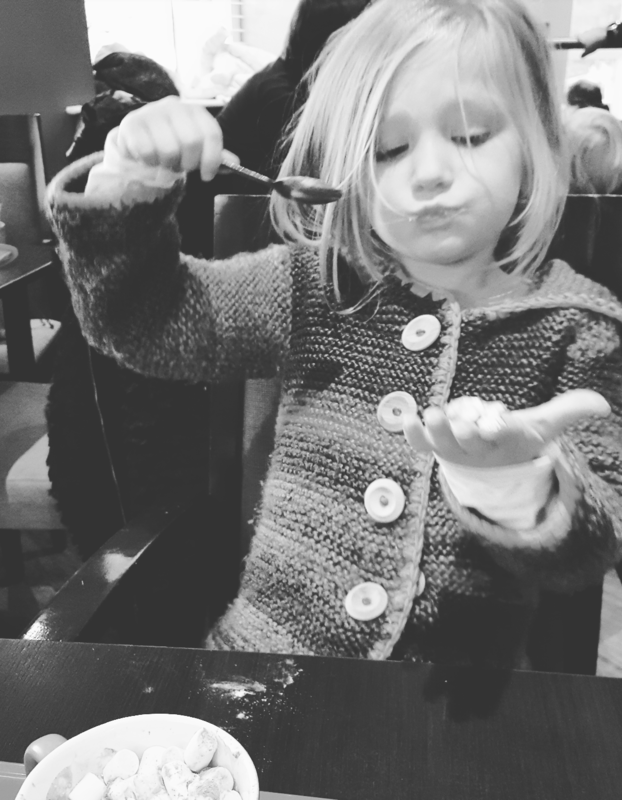 Whilst always being long she seemed to have grown bigger – She has a whole new load of knowledge to share and buckets of attitude picked up from school and she has an increase of whit and sweetness with oodles of love and adoration for the new baby of the family thrown in. She’s changed, grown and shifted to middle child position before my eyes and only now have I really noticed. Megan is no longer my baby and she was gracious and happy to give up that baby position in July when Alice was born but perhaps I wasnt quite ready to accept it. I can tell she loves being in the middle as she can choose whether to play with baby or big brother and uses it to play off one against the other and this all tells me that she would never be content with just blending into the middle as she was born to stand out it seems; to challenge the oldest and keep him in check, to mother the baby and show her the way. She knows her position and she lives it well, but as a tired new mum it seems to have shifted and happened without me noticing, or maybe as I say I wasn’t ready to see it. My busy days with baby and rocky nights leaving me tired for more craziness the next day have left me looking at Megs now and seeing all of these moments unfolding and wondering when did you grow up? When did you get so big? When did you step up to a new spot? She is a little beaut and kind of nutty too, she knows her mind but also possesses sensitivity and so is well equipped for middle child role. Like me as the middle child in my family she is boisterous, noisy, happy to play on her own, but certainly not made to blend into the family somewhere in the middle, she too was born to stand out and challenge both parents and siblings…keep them on their toes and it been there since she was 2, its just that only now she finally gets to claim her place. I know exactly what you mean, when you have a younger one at home hitting lots of different milestones, the middle ones seem to sneek theirs in! I remember with my eldest noticing everything without an effort, but now we have four littles, It takes one of these calm moments to spot what huge leaps the middle one(s) have been making. Having older/younger siblings really helps them feel comfortable around others doesnt it? My middle children will happily flick between mothering the babies and playing with older children too, where as I grew up as an only child and was always very intimidated by older and younger children because I never knew what to say! Hannah | The Simple Things Blog recently posted…Not The Bonfire Night We Expected.